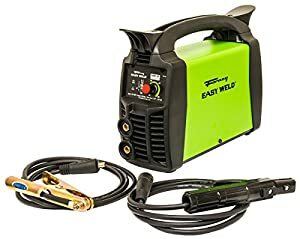 Best Stick Welders: Review & Buyer's Guide in 2019! What Are Top Rated Stick Welding Machines? Welding is a profession that requires understanding metals, heat, and electricity and how they all work together to “glue” weld two metallic surfaces to each other. When starting to weld, or when using a DIY home welding machine, you do not need to invest in a professional machine that would be found in a fabrication plant. There are plenty of very versatile welding tools that will provide excellent results in the hands of an experienced welder. We provide you with a guide of 10 great welding machines that provide perfect results (in the right hands). The Amico MMA Stick welder is basic, fast to operate and easy to master. It uses SMAW welding sticks and comes with a 10ft electrode and work clamp cable. This is very easy to understand and operate welding machine for all users. This little stick inverter DC welding machine gives you a very good work performance. It comes with a 10’ cable and clamp as well as a 12’ power source cable. While it is only a 115A machine, it does provide a 60% duty cycle which is impressive for its size. Dimension: 19 x 11 x 6.5 in., Product Weight: 16 lbs. 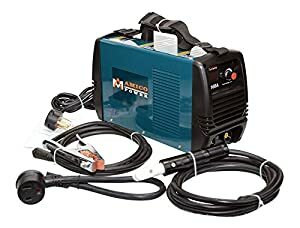 This is a great small and efficient welding machine. This dual MMA and TIG welding machine is well worth every penny you spend on it. This model comes with a reinforced nylon panel and a full array of voltage protection. The plastic handle makes it easy to carry, and it only weighs 24Lbs. This is a very useful tool to have anywhere, especially for its price. 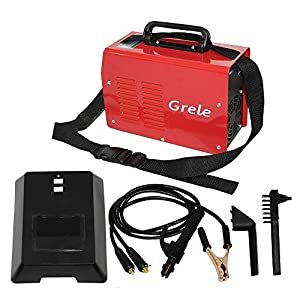 The Grele 140amp welding machine is compact and easy to use. It’s a plug and play model, where you just plug it in and start to weld. This is a very basic model and is best suited for beginners or low intensity use. If its simplicity and no frills, just power up and weld, then this is the one you want. This is what we call a starter arc welding machine, and it is designed for beginners and students of welding. Its also not a bad home appliance if you need one around. 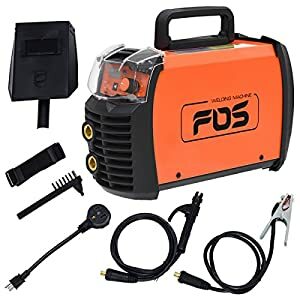 This model uses a standard inverted 120V input 190Amp output conversation and has an options TIG add-on that can be bought separately. This model handles up to 1/8″ electrode and welds 16 gauges up to 5/16″. The bottom line is that this machine is so simple you only need a 120V power source, and off you go. 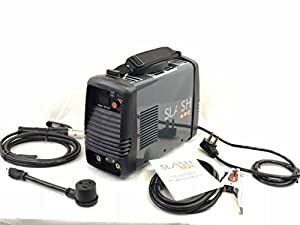 TheSlashArc™ DC-160 gives great performance and control and provides a dual voltage option for a more versatile welding option. This model comes with an Amp control with LED display. 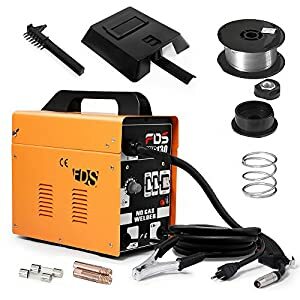 This is a very useful and simple welding machine, and is a perfect beginners companion. This is the Wolf MIG welder that provides exceptional finishes when used by an experienced hand. This is more than a beginner’s model, but its price makes it extremely attractive to all welders. This model comes with a steel frame and plastic handle for easy carrying. Power source: 110V/60HZ with 10A circuit breaker and 13A mains fuse. 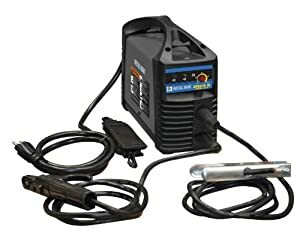 This is a very useful MIG welder, and its price makes it a perfect learning tool for beginners. 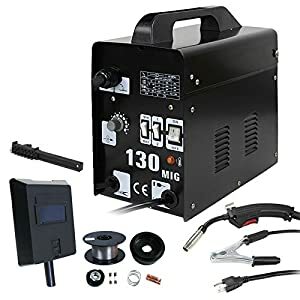 This sturdy MIG welding machine provides enough adjustable functionality to make it a contender with any other higher priced MIG welding machine. This model comes with 4 buttons for MIN/MAX,1/2 for setting the correct heating levels. This Zeny model also includes a variable feed speed controller, a torch with full On/Off safety control and automatic thermal safety protection. 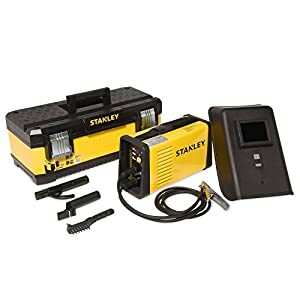 The Stanley Power 170 is a versatile yet simple welding machine that provides all the basics for a fast fix job. This is a compact unit, well suited for traveling professionals that need lightweight and versatile welding machine wherever they might be. It comes with an adjustable strap, and its 10.3 Kg weight make it easy to use and carry. Will connect to a power generator rated at 7.3 kW minimum output power. This is a great portable unit for all levels of use. The Metal Man 80A inverter is the ultimate portable welding machine for both professionals and beginners. It is so light, weighing in at only 5Kgs and it is versatile enough to provide a good weld. This is a perfect portable welding solution. There isn’t one welder that can provide a one-size-fits-all solution. You need to match your welding machine to the job that needs to be done. Having stated this, a cheap MIG welder is perfect for basic joining applications. 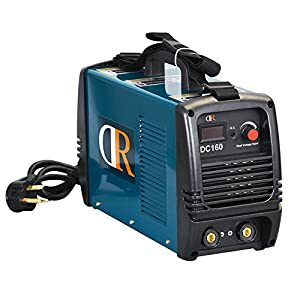 TIG welders are more precise and give higher quality work, and there are a number of very good cheap TIG welders reviewed here.